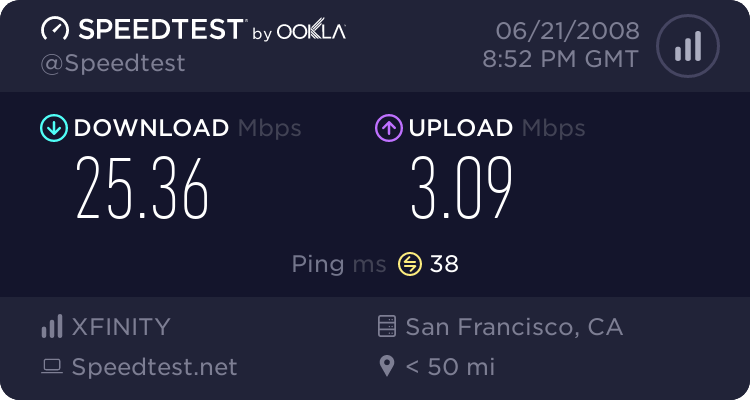 How Fast Is Comcast Blast? REALLY Fast. That's a 3 mbit per second upload = 375 KB/s. Wow, Comcast, just wow. I know there are many people having complaints about service but after being a customer for 8 years, I really am happy with everything. Blows the puny DSL away….
.: 76 queries :. : 0.114 seconds to generate cache :. : nexus2 :.